As we first reported, Sprint has confirmed it will launch the budget-friendly Kyocera Rise on August 29th for $19.99 with a new two-year contract. The phone will also be available as a pre-paid device from Virgin beginning on August 31 for $99.99. The Kyocera Rise, which we first saw back in May at CTIA Wireless 2012, offers a full slide-out QWERTY keyboard, Android 4.0 Ice Cream Sandwich, a 3.5-inch display with a 480 x 320-pixel resolution, a 1GHz MSM8655 Qualcomm Snapdragon processor, a 3.2-megapixel camera and support for Sprints 3G network. You'd be much better off purchasing the Galaxy Nexus for Sprint, which supports its 4G LTE network and is available for free. But if you need a QWERTY keyboard than the Rise would serve as a viable option. If you have yet to experience all you can do with a smartphone, you should check out Kyocera Rise. This phone will be available beginning Sunday, Aug. 19, for just $19.99 after a $50 mail-in-rebate with a new line of service or eligible upgrade and two-year service agreement (pricing excludes taxes). Customers looking for an affordable device without a contract can also get Kyocera Rise on Virgin Mobile USA www.virginmobileusa.com beginning Friday, Aug. 31, for $99.99 (pricing excludes taxes). Virgin Mobile offers Beyond Talk™ no-contract plans with unlimited data and messaging starting at $35/mo. It's a phone worth a closer look for customers who are new to smartphones, parents looking for the perfect first device for their teens, or anyone looking for a device with an impressive set of features at a great price. 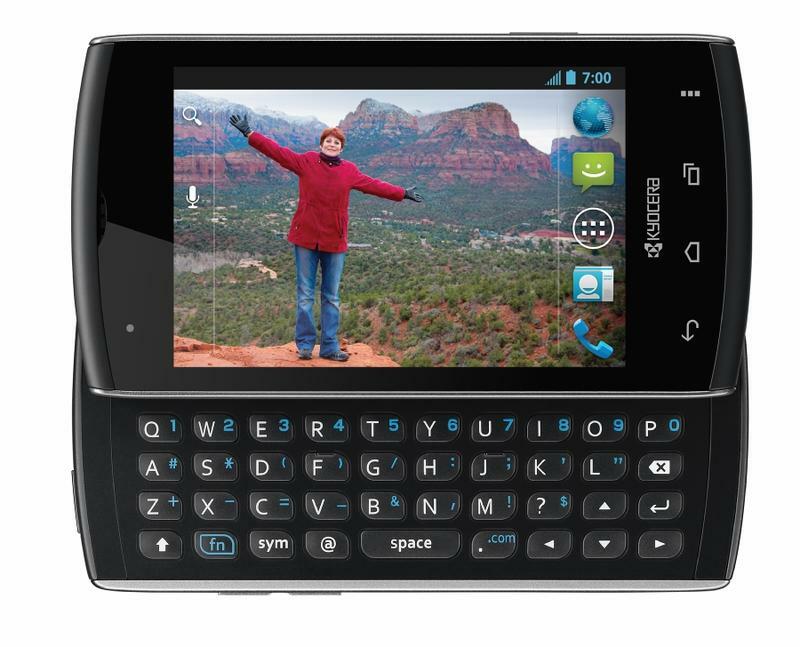 Kyocera Rise stands out for its affordable price, but it also has attractive features, including a QWERTY keyboard and Android™ 4.0, Ice Cream Sandwich. The sliding full QWERTY keyboard makes staying in contact a breeze. Whether you are sending a quick text message, surfing the Internet, or replying to an important email, Kyocera Rise has you covered. Smartphones are so popular because of all they offer for entertainment, productivity or just staying better connected with friends and family. Apps are simple to download. Just use your Kyocera Rise to visit the Apps section of Google Play https://play.google.com/apps and pick games, news apps that provide sports scores or articles or other apps that help you find the best shopping deals. There are many, many more to consider. No matter your interest or need, you are likely to find an app that can help out or allow you to enjoy it. Many regular visitors to Sprint.com Community probably carry smartphones and likely have several favorite apps that they regularly recommend. What are your favorite apps? What else do you like about your smartphone? Please share your tips in the comments to this post. Kyocera Rise features a 3.5-inch HVGA capacitive 480×320 IPS LCD touchscreen display and Swype for rapid text entry. Its 1,500mAh Lithium-ion battery ensures long periods of use between charges and provides more than 8.5 hours of talk time. Kyocera Rise is Sprint's 18th Sprint ID-capable device. Sprint ID delivers a variety of apps, widgets, shortcuts, ringtones and wallpapers – designed to meet users' specific mobile needs and interests – in a few simple clicks. Sprint ID packs are free to download with an Everything Data plan, and users can download five at once –Professional (features tools to help busy professionals with travel plans, organization, communication), Green (tips to live a greener lifestyle), MTV Music ID (mobile music experience), HSN (shopping on the go) and NASCAR Sprint Cup Series ID Pack. To see all Sprint ID packs, visit www.sprint.com/sprintid.